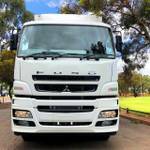 SO CALL OR MESSAGE NOW & SAVE SAVE SAVE AT TRUCKS ADELAIDE - ACROSS THE FUSO RANGE! 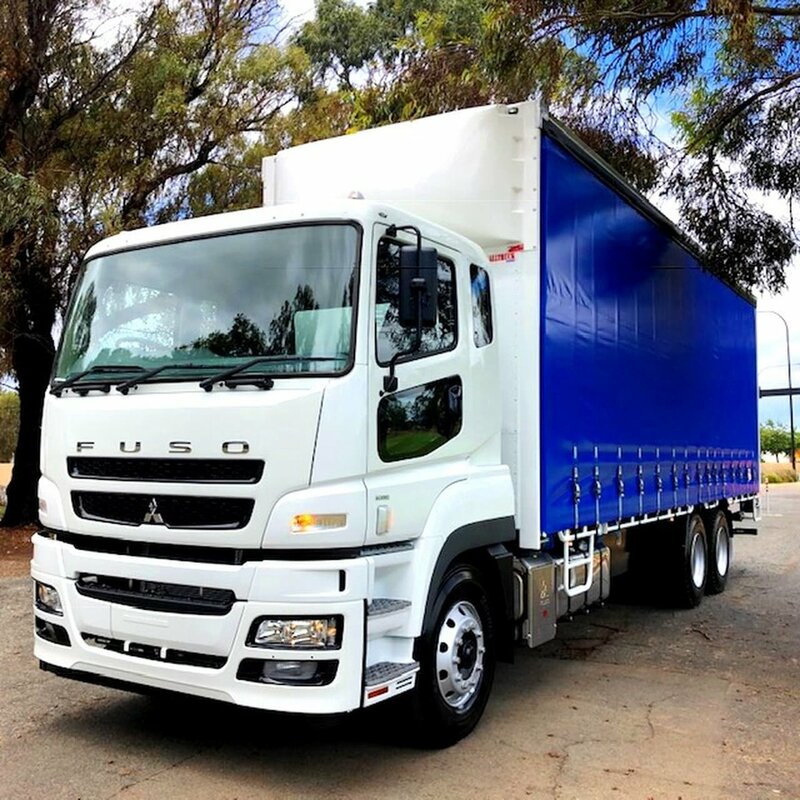 Then you save again with; SERVICE COSTS INTERVALS* OF 40,000km, 12 MONTHS OR 800 HOURS THEN REAP THE BENEFITS AND ENJOY THE PEACE OF MIND THROUGH FUSO 5 Year, 500,000kms WARRANTY* Cab Comfort; ISRI Drivers Seat Suspended, Hill Start System, Climate Control, Central Locking, Electric Windows, Cruise Control, LH Transom Window, Opening Rear Quarter Glass, Cup Holder, Fluorescent Cabin Lamp, Storage Centre Storage Console, Driver’s Overhead Storage, Coat Hooks. Cab Safety: Driver's Air Bag and Seat Belt Pre-tensioners, External Fog Lights, Door Side Impact Beams, Roof Mounting Points, Front End-Outline Marker Lamps, Chassis Integrated Front Underrun System (FUPS), Reverse Warning Buzzer and much more. 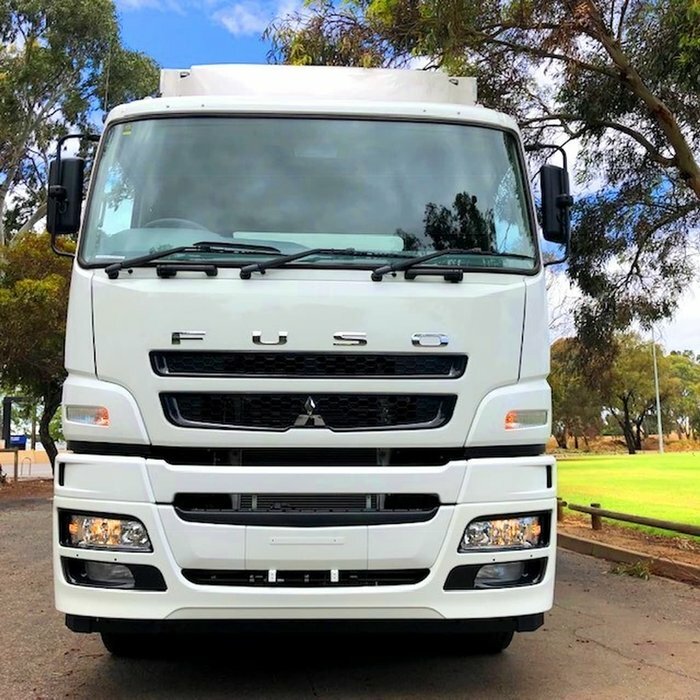 Your Media: Fuso Multi Media Unit; 6.1 inch LCD with touch screen control, Bluetooth® hands free, Audio Visual Entertainment CD/DVD player Digital radio DAB+ and AM/FM, USB port for iPod® * & other devices. Reversing Camera Compatible, Display can accept up to 3 cameras# Notes * iPod® compatibility requires an additional licenced cable. Body: Alltruck 14 Pallet Tautliner	Nose Cone	Steel Tool Box 1170 x 450 x 450	Led Interior Light	Install Camera	Anteo F3CL22 Tailgate	SO IF YOUR BUSINESS IS READY TO GROW THEN LET’S GET READY TO GO CALL OR MESSAGE ONE OF OUR FRIENDLY SALES TEAM TODAY!